A lone attacker, yelling "God is Great" in Arabic, stabbed to death at least one person and wounded four others in central Paris' opera district on Saturday night before police shot him dead, authorities said. City prosecutor François Molins told reporters counterterrorism authorities are investigating the attack as terrorism based on the "Allahu Akbar" declaration, claims of responsibility by the Islamic State and the manner of attack. The Amaq News Agency, the Islamic State's media outlet, said "the person who executed the stabbing in Paris is a soldier of the Islamic State" and acted in response to calls to attack anti-Islamic State coalition countries. The claim was not substantiated and French officials outright didn't say the attack was linked to the terrorist group. French President Emmanuel Macron posted on Twitter that "France pays once again the price of blood but does not give an inch to the enemies of freedom." He also applauded courage of the police who "neutralized the terrorist." 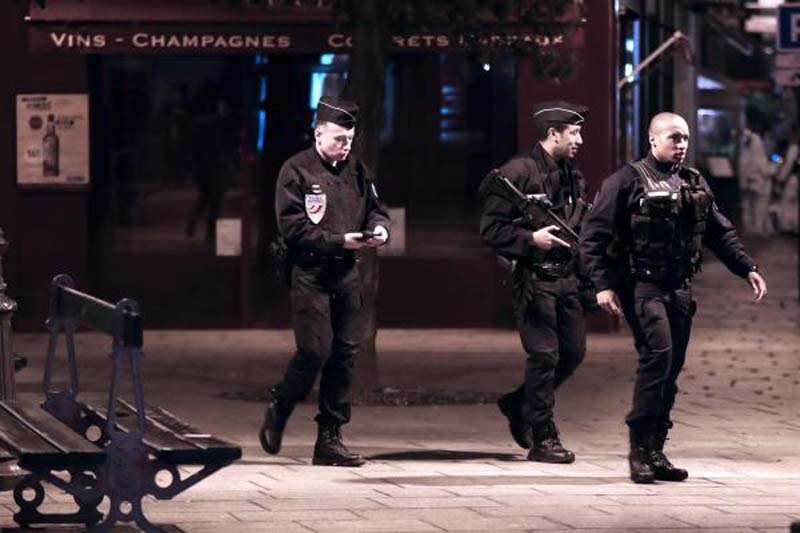 French police earlier said the male, unnamed assailant was shot dead. Among the four hospitalized, two were in grave condition and two others sustained minor injuries. People tried to hide in restaurants and cafes from the streets during the attack, which started at 9:30 p.m.
Charles Pellegrin, a French journalist, reported on Twitter he was leaving a comedy show in the area when he was "told to go back in because there was a madman with a knife. Once back inside we heard sirens and 2 gun shots. I then spoke to eyewitnesses who told me a man stabbed multilple people at random." "Tonight, our city has been bruised," Paris mayor Anne Hidalgo wrote on Twitter in French after the attack. Interior Minister Gerard Collomb, writing in French on Twitter, praised the "responsiveness of the police forces who neutralized the assailant. My first thoughts are with the victims of this heinous act." In November 2015, the city was targeted by a series of coordinated terror attacks. More than 100 people were at concert hall, and gunfire and explosions killed and wounded dozens more elsewhere, including national stadium.